Ultimate design, perfect processing down to the last detail, typical WEINIG: with the Powermat 1500 WEINIG offers an exceptional machine as a standard model. Behind every high performance machine there must be a design concept that puts you in a leading position to control costs, guaranty scheduled delivery times and cater to your customers&apos; wishes. 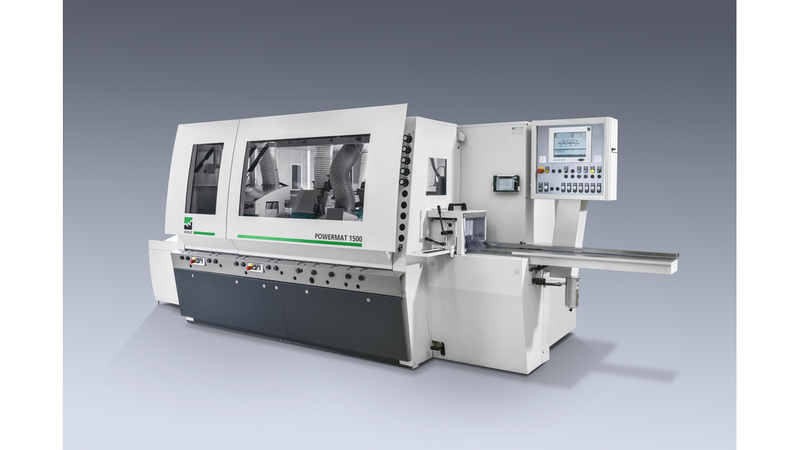 With the Powermat 1500 you will experience the full capability of a WEINIG moulder. With this exceptional state of the art machine standard the Powermat 1500 offers outstanding ease of use and a maximum of profitability. Decades of experience have influenced the development of this machine. Supplemented by useful extras the Powermat 1500 can be perfectly adapted to your individual needs. The result: a machine coping even with challenging applications and delivering top quality. The scope of applications even goes beyond the processing of solid wood only.